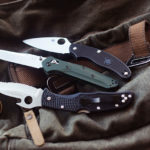 I’ve touched on what are, in my opinion, the top (folding) lightweight knives on the market before when I published my list of the best EDC pocket knives. 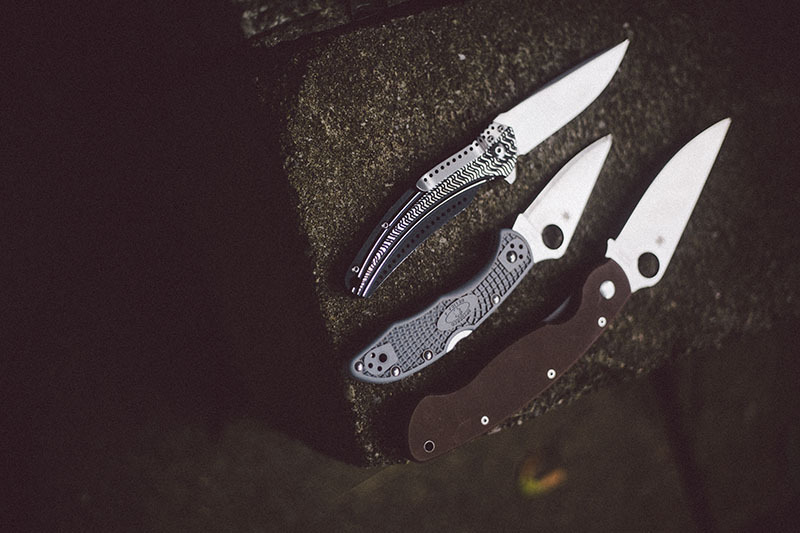 There are quite frankly some great featherweight folders out there that would be truly ideal for hikers to have on them when they’re out and about. 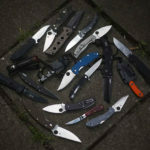 Yet I find that even with a top list in the lightweight knives section of that article, I still do get a lot of questions about what I think hikers should get with regards to EDC knives. In case, like for some of those who’ve asked me on social media, the folders I found weren’t quite enough in terms of options for you, I’m going to flesh things out here. 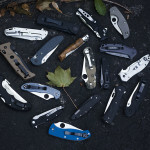 There are plenty of lightweight knives on the market, some much more lightweight than others. And while I’m going to start off with showing you the very same knives I listed in the best EDC knife article I wrote up (after all, I still do believe those are the top lightweight EDCs), I’m also going to present you with a slew of other options in case those folders aren’t up your alley. Obviously, there is a huge amount of variance in my choices, but I went with a sole, folding blade option. Fixed blades are a different kettle of fish altogether and I don’t think they should be compared side by side with folders. This folder has a nested liner that aids with weight reduction. Extensive skeletonization on top of that nestled liner means that you end up with what’s, in my personal opinion, the king of the featherweight folders. 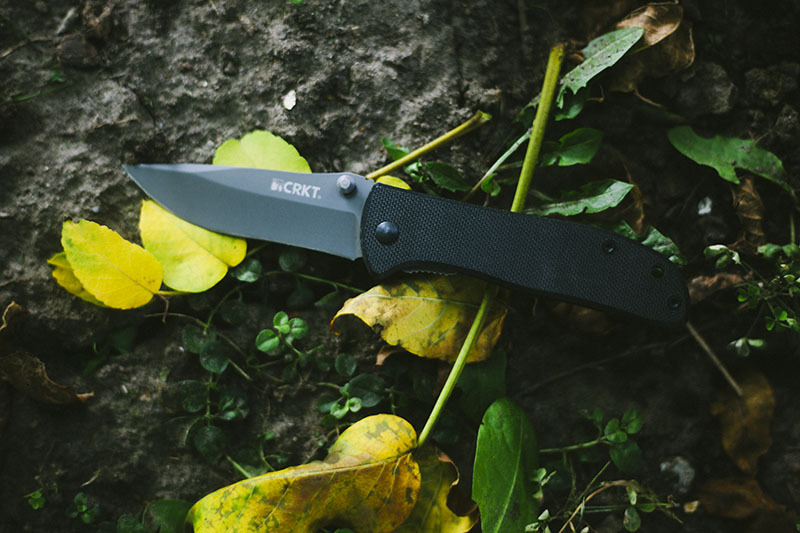 The CRKT Ripple also features IKBS flipper deployment, too, which is amazing. One heck of a lightweight knife. This knife is one of my favourite EDCs of all time, maybe even my actual single favourite. It’s one hell of a folder and yet has very little impact on the scale – you’ll barely feel it in your pocket. Maybe not the most exciting option but its a steadfast friend that has been by my side for many, many years. 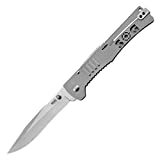 It’s a 4 inch tactical folder, but with its nested liner lock and with its G-10 construction, it punches very high above its weight when you take into account how much cutting power is packed in. Would never hesitate to recommend this as a light weight option – especially for those who are interested in more punch from their EDC knives. Obviously the lock isn’t up to par vs a Cold Steel TRIAD option but for general use, its perfectly adequate. Never had one fail on me- perfect example of a lightweight liner lock done right. 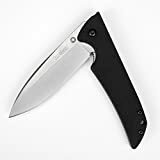 If you ask around for the best lightweight EDC or best folding knife for hikers on the net, this is probably one of the most frequently recommended options you’ll hear. The Skyline is one of those knives that would make a list like this incomplete without having mentioned it. 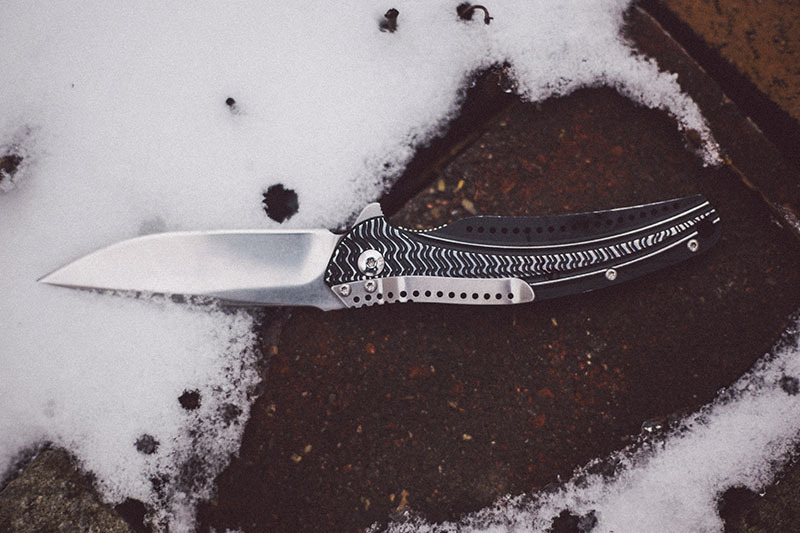 The Drifter has absolutely impeccable fit and finish, and it comes in such a small lightweight package that it becomes pretty shocking when you take into account the price point of the knife. 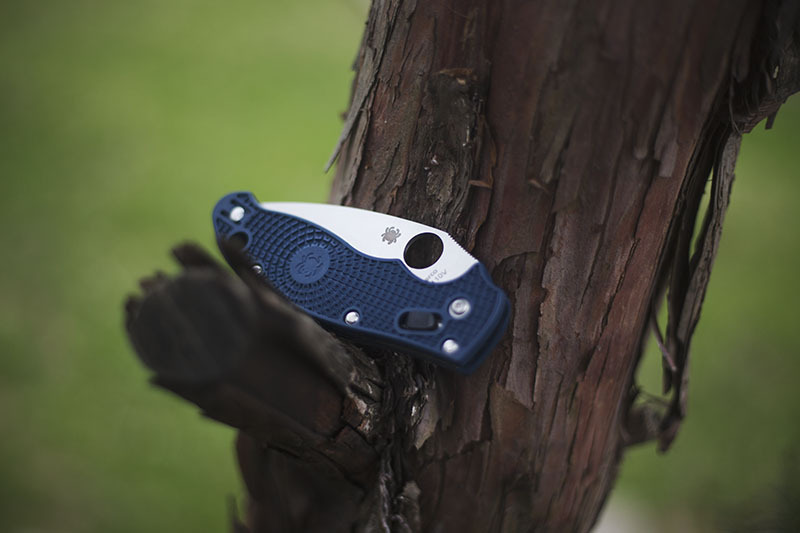 The Drifter features nested liners with one of the nicest feeling lock engagements around. It’s not a heavy duty knife. If you’re looking for a above average cutting performance in a light weight package, like I said, you need to go for a Military. But balance is close to perfect for a light EDC option, and again, the price point is amazing. If you’re looking for a budget friendly folder, this is where it’s at. The following knives, all excellent for hikers in their own way, are not in any particular order and are not meant to be. Each have advantages and disadvantages when used as lightweight folders for hikers to carry. I’ve taken the time to break down exactly why each knife is good for hikers – what it would excel at and what it isn’t the greatest at. This is a knife that underwhelmed me when I first bought it, but the action is so slick that I can’t help but EDC it on a regular basis. Mine has custom G-10 scales (aftermarket), but out of the box with its FRN scales its very comfortable and punches way above its weight class. The price is a smidgen too high in my opinion, but its performance can’t be debated. Probably my favourite knife for the whole of this year. 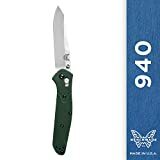 One hell of a folder and I would argue probably the best bang-for-buck folding knife for those of us who dig the outdoors. Amazing toughness and cutting performance (especially on wood) for its weight. I am comfortable saying I would feel okay having this as my only knife in the woods. Amazing, and a future classic. Looks like a well balanced tool. The Rove is certainly not the prettiest knife Kershaw has ever made, but its blade is straight up utility biased, and its weight to cutting power ratio is impressive. The blade has a lot of belly, which could be put to heavier uses than its light weight would suggest. My review of this knife was pretty negative based on my personal experience with the ergonomics (lego scale syndrome), but others swear by it. I would suggest you give it a fondle in a store and see if it works for you. My only gripe was the square edges on the scales and general lack of contouring – it’s not comfortable to me at all. But if it doesn’t bother you, then it’s a pretty excellent option with that versatile Spyderco leaf blade. If you want optimal cutting performance relative to weight, this is it. I don’t see any competition for it on the market. If you can suggest an alternative, I am all ears! Downside is the lack of one hand deployment and expected issues with the wood construction swelling when wet or in high humidity. There is a synthetic version out now, but as I have not handled it, I hesitate in recommending it. For its toughness, its weight is shocking. Check out the Cold Steel lock strength demos on YouTube! You could pit a titanium framelock against it that weighs twice as much and it won’t perform anything close to as well under duress. 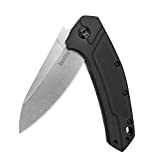 Yes, it could be argued that its strength isn’t required for its purpose but if you want a folding knife that will give you the “fixed blade” feeling- this is it. Obviously, this is still a folding knife, so don’t go too crazy, but then again, after owning it for a few years I just don’t see how I could get it to fail even if I wanted to. Shoot it maybe? USA made for $20, and it’s a solid knife at that! I have always had a soft spot for Buck, and as a child lusted after a 110, I absolutely love them, and whilst they don’t really break new boundaries with steels or locks, they are very dependable, down to earth tools. This is a knife I haven’t reviewed and yet gets brought up almost fanatically by those who own it. Gotta be honest, the aesthetics underwhelm me, but the sheer passion people have for this folder means it will definitely get reviewed. With that said, it has an excellent reputation as a solid, inexpensive folding knife designed by a knife maker of impeccable reputation. I include it in the list to preemptively shut down the “What about the ka-bar dozier?” crowd. I get; it’s good. It’s getting reviewed eventually, please put the pitchforks away. Gotta give credit where credit is due. When it comes to doing things out of the box – SOG doesn’t disappoint. Is this the thinnest full sized locking folder around? Probably, and if not please share whatever else is so my jaw can hit the ground. Obviously, with its lack of meat, ergonomics are going to be a problem. But if you really really lack space, but want cutting power, I think this is a good option. It will slip into pretty much any pouch or pocket discreetly. A true modern classic. A lot of reach for the weight thanks to its more anemic profile. I have been itching to review this knife for quite a few years. Available in most stores if you want to get a feel for the ergonomics. In my experience, it’s superbly constructed (better be at that price!) with the wonderful axis lock and a surprisingly versatile blade. You may think it’s too biased for tactical use due to its almost dagger like profile, but I assure you it can cut and cut and cut. Which Lightweight Knives Do You Prefer for Hikes? Have I missed anything that really should’ve been on this list? Grabbed one or more of these folders already and can vouch for them as excellent lightweight hiking knives? I almost got the Buck Apex, that design is wild! How do you like it? The best options is Sanremnu looks like paramilitary for 20 $ with spyderhole with axis lock. Sadly I just can’t stomach giving my custom to such blatant counterfeits/”imitations”. I just have too much respect for the designers even though these “imitations” may be (in their own right) excellently made. Hope you understand where I am coming from mate! 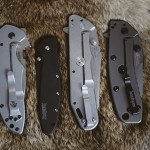 Many many thanks for sharing such a great list of hiking knives. 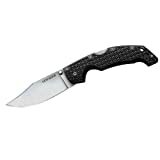 I personally like to use ESEE 6P-B Plain Edge Fixed Blade Knife, which I bought last year. It’s really well made. The material of the handle has an expensive feel to it. There are better ergonomically designed handles that fit my medium size hand better like the kabar turok, but it still feels quite good. It’s definitely a top-shelf quality whiskey of knives. It feels and looks indestructible. 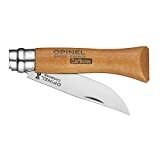 About the wood handles on the Opinels swelling in humid–there are videos on youtube on soaking the handles with mineral oil or similar to minimize that problem. I have never lived in a truly humid enviroment so I can’t comment much on that, I did once boil the handles in linseed oil and that seemed to work out well but then again, I never truly faced Opinel handle swelling so I won’t make any definitive comments. In theory though, linseed/mineral oil will deal with the moisture messing with the handles. 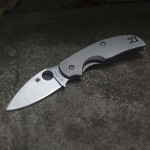 I like the Spiderco Delica 4!! Ill get it for Father’s Day! I am sure he will be happy with it, I am totally smitten with mine! There are so many lite weight options wrt folding knives to take on a hike. Buck Apex 818 in 3 flavors Orange aluminum,Purple aluminum and carbon fibre.. I love the style of the BM 530, been meaning to review that one for a while- never seen the Buck Apex in the flesh though- its been a while since I have done a Buck review so i’ll definitely keep it in mind (especially as Elise loves carbon fiber). 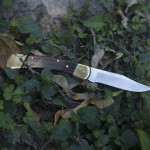 Any thoughts on the Featherlight Hunter from Knives of Alaska? Howdy mate, sadly I haven’t handled any knives from that brand and I am loath to recommend something I have no experience in. With that said, I did a quick google and the materials look solid and I saw no reports of catastrophic failures so they seem legit as far as performance goes. If you pick one up, I would be happy to hear what you thought of it! You won’t regret picking up any of the Spyderco Salt series! As a backpacking folder it’s one if my favorites. I love the trult ‘stainless’ nature of H1, the sheepsfoot blade is less ‘stabby’ and would function well in a rescue cutting capacity, it weighs next to nothing, and spreads peanut butter like a champ. It’s not a woods knife by any means but it’s the right tool for many other hiking tasks. To be honest, I have never had a knife rust on me. Like, ever. Maybe its just my enviroment but my biggest issue with the Salt series is the grind (hollow) compared to the sheer slicing ability of my comparable VG-10 Spydies. Also edge retention isn’t supposed to be as good unless you go for serrated H1 (something about the work hardening process). Obviously, I will no doubt snap one up to review one day and maybe I will come to realise I have been wrong all along! 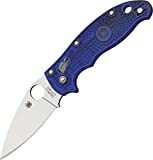 I’ve been thinking of picking up the Military or the Paramilitary 2. 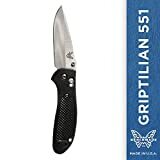 Both excellent knives, I would lean towards the Paramilitary II as an all-rounder, the 3.5″ blade is the perfect everyday blade size in my opinion and the compression lock is fantastic. The Military has a longer blade and on my opinion superior ergonomics (your mileage may vary) but far less optimal for rougher work. after hiking and living out of a tent for 3 months straight, i can honestly say that unless youre carrying a machete or some overly large bowie knife, almost any decent knife is going to be good. when i go fishing i always carry no less than three knives, my buck 119, my sog trident, and my rapala fillet knife. it seams like a lot, but ive had times where i needed every one. 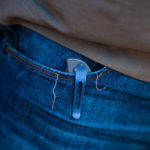 i think if you have the space, a good folding knife, and a good fixed blade knife for camping is good. for hiking, id say the same unless its a very short trip less than a couple hours. but then again thats just me. great ideas though. Couldn’t agree with you more Matthew, a knife is a sharpened slab of steel and if your primary objective is to cut- I reckon pretty much all knives will suffice. I will say that a high quality knife with good ergonomics and grinds will allow you to do said task more comfortably though. I checked out the SOG Trident a while back, what do you think of that strap cutter thingy? 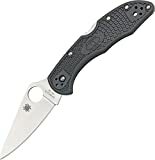 What are your thoughts about the Spyderco Dragonfly 2 for hiking? 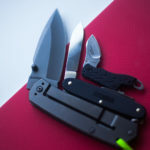 I own the Glass Fiber one and its a good EDC knife, the sheer amount of steel rules it out as a lightweight EDC though. One of these days I will pick up a Salt series Dragonfly in FRN and I imagine it will be quite awesome.